Highlights two contrasting trends: continued strong support for American ideals and values, alongside growing criticism of U.S. unilateralism in foreign policy. Assesses people's attitudes toward their own lives, the state of their nations, and the world. 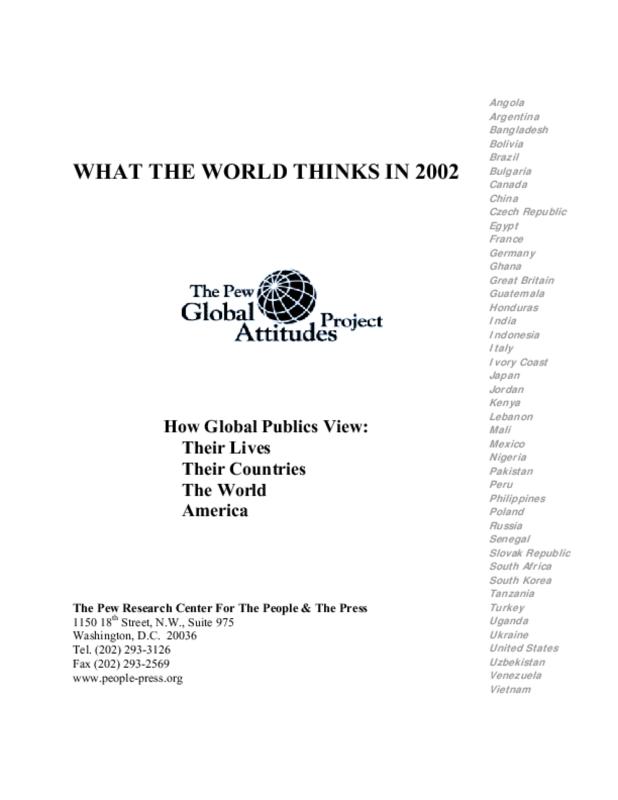 Copyright 2002 Pew Global Attitudes Project.